﻿ Venus Was The Solar System’s First Habitable Planet! Venus Was The Solar System’s First Habitable Planet! Have you ever asked yourselves if there are some planets or place like Earth in the universe. Scientists might say – Hmmm, probably yes they are, but (pause) it’s still not proven at this time. So you can keep dreaming, fantasists. And you say, okay, thank you, smartass. Thanks for not destroying my cherished dreams about aliens. Ohhh, God I’m still not mature enough. But today I’m gonna tell you about, by scientists’ studies, the first habitable planet in the Solar System. So maybe after watching this video some of you who thinks that The Earth is the only one planet with life, could start dreaming again. My name is Mr. Banana and today we are moving throughout the time. I hope you don’t miss anything ‘cause we gonna start right now. OUR SOLAR SYSTEM IS A VORTEX... JUST IMAGINE! 10 SURPRISES ABOUT OUR SOLAR SYSTEM... OHHH! Was it real: Phaeton - the fifth planet of our Solar System?! Yvonne Pendleton: "NASA's Solar System Exploration Research Virtual Institute"
ATTENTION! The Sun is not the center of the Solar system! 5 Places in the Solar System Where You Can Live Right Now! 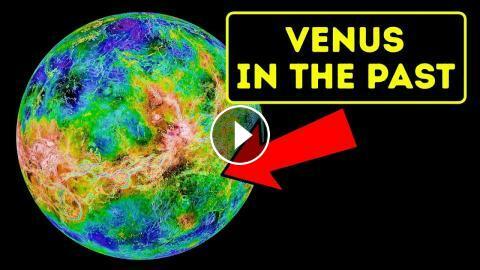 9 Object In Solar System We Can Turn Into Earth Right Now!